Kanda Wadatsumi is right next to the gym that I go to so it’s been on my to-try list for the longest time. 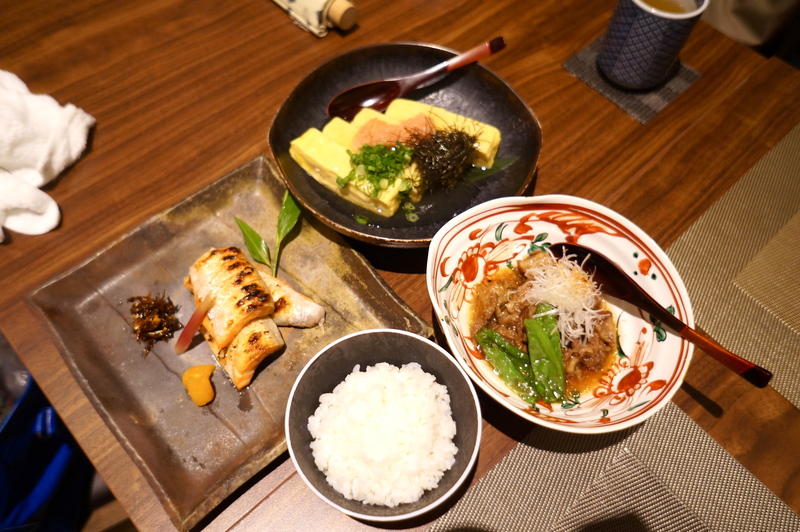 The concept of this restaurant is based on a popular Japanese restaurant in Tokyo center. Strongly backed by Zengyoren Japan Fisheries Association, a representative of all coastal fishermen in Japan, you can be sure that the freshest shipments are right here at Kanda! The space is rather small, with half being taken up by the kitchen. The other half consitutes a narrow sushi counter and several tables that sit 4 guests. It’s definitely an intimate setting here with quality food being served. 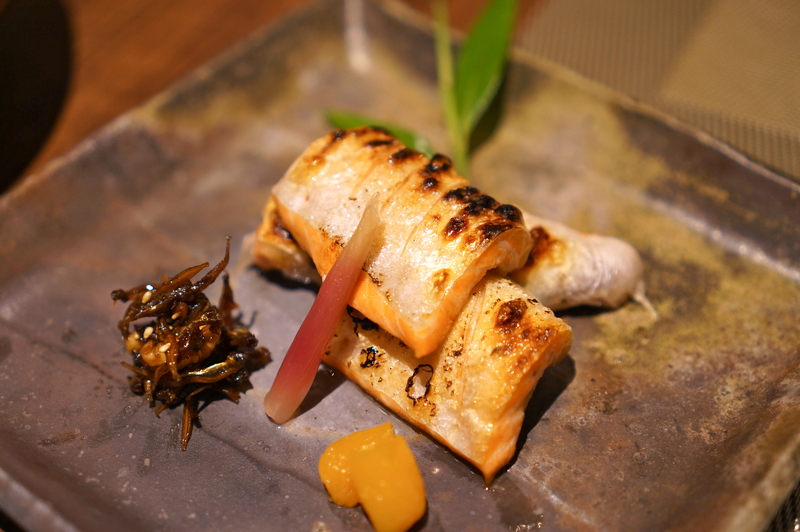 Grilled Salmon Belly ($16) – I’m always a fan of grilled salmon belly and this surely did not disappoint. Grilled to perfection, the salmon belly was so tender and it literally slides in your mouth and this is in contrast to the crispy and slightly-charred skin that cracks upon your bite. I just wished… the portion was twice of this. 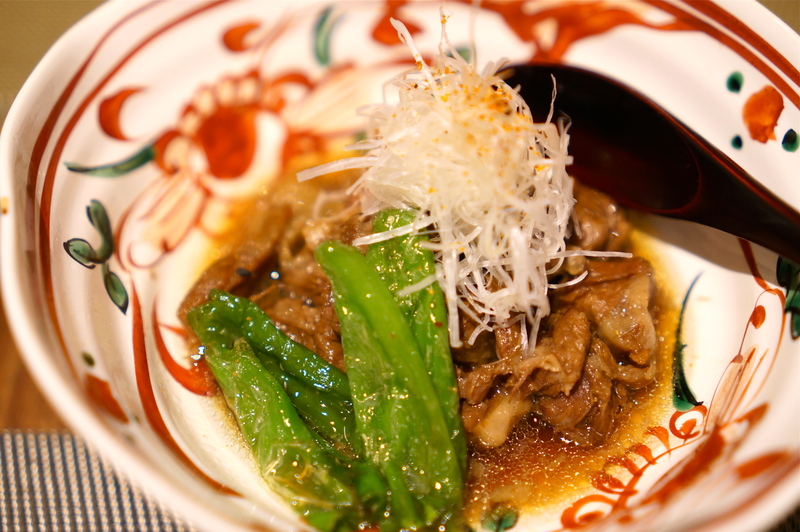 Simmered Japanese Beef w Japanese Green Pepper ($18) – Again, the portion was just puny. 😦 That said, the beef was so good! Though it wasn’t wagyu, it had an umami flavour to it! The thin slices were so tender too. Extremely well-seasoned, the stock and beef had consistently identical taste. Mirin was probably added, which created the sweetness in the stock. You really have to savour this slow. Rice ($5) – Even the rice served here was extraordinary. Frankly, I could just eat the rice by itself as it contained a fragrance of how rice should taste and smell. As you can see, 3 dishes to be shared between 2, was not exactly substantial. Quantity vs quality – which is more important? As a foodie, I would say quality. Quality food comes in small portion because it leaves you wanting more. It’s the same logic for the otherwise. 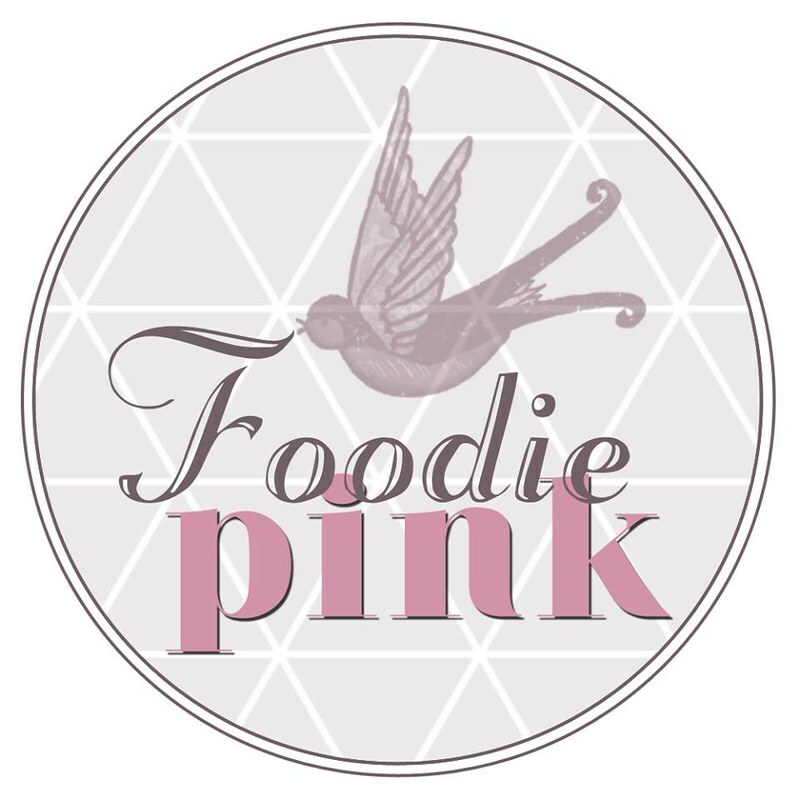 When you visit a restaurant too often, you’ll get sick of the food even if you loved it to hoots at the beginning. Thus, if you ask me whether I’ll come back to Kanda Wadatsumi, I would say I would. I’ll even recommend it to my friends and you. Authentic, intricate and quality are what you are paying for, for sure.